One of the major reasons why many people are unable to apply for a traditional loan in the U.S. is the unhappy line in their credit reports telling that they have filed bankruptcy some time in their past. Although, it is not the end of the world, the matter can complicate a person’s life to a pretty extent. 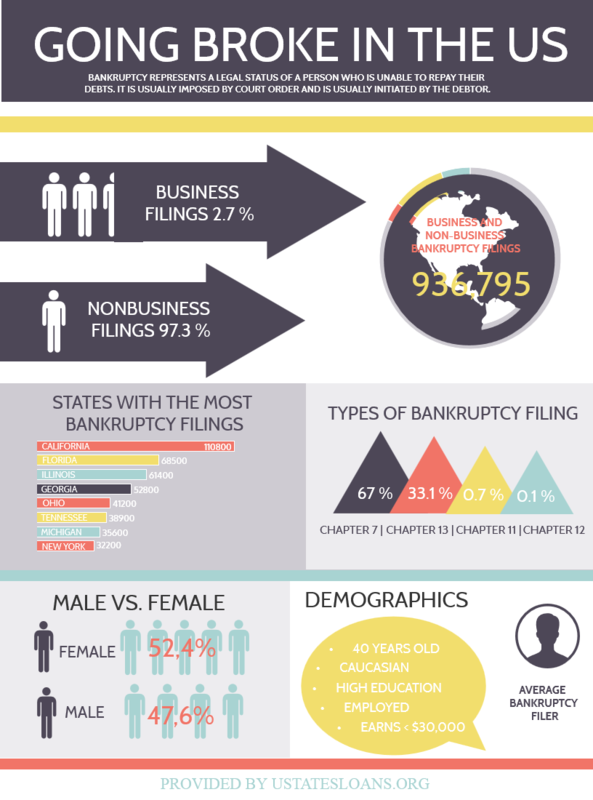 Here is more information about bankruptcy statistics in the U.S.